Device driver installation has always been a headache for most of the people. Either one thing or the other is always missing. Once we want to clean install Windows, we have to make sure that we have got all the device drivers for our system. If we miss some of the drivers, nothing works fine. 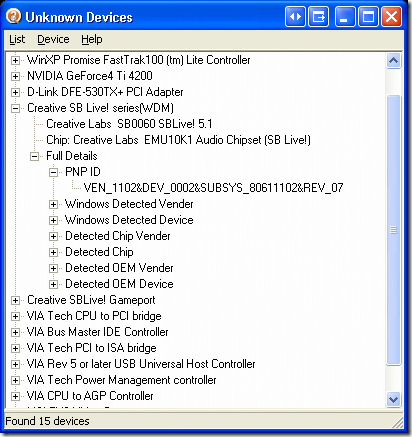 Here are some ways to find unknown device drivers in Windows. To find the device instance ID go to Device Manager –> Right click the unknown device –> Properties –> Details. Where red is the Vendor ID and green is the Device ID. Note down both of them. You can also download PCI Utilities which displays the Vendors and devices in human readable format instead of the alphanumeric code characters. Thanks lot ya what useful information Long live! Don’t be so blatantly ignorant. Not everyone uses Win 7… In fact barely anyone compared to the amount of people using xp and vista. Go dig a hole and die in it. No need for me to dig hole as your mother already having a hole, i am ready to die in it, pls send ur mother. Henrik, please don’t use abusive language as we are here not to fight. Thanks very much. Keep up the good work. Unknown Device Identifier is a trojan. Tisk tisk Sanix, you should do your homework before promoting virus transfers. @Henrik’s Mom what do you mean? Can you explain your point in detail please? If it’s a trojan, I’ll remove it. I do not have any intention of putting malware on my site. Thank you so much! more power..
it’s completely free. no trial – no sharewares. BLESS YOU SIR! Spent freaking 2 hours trying to identify this Ethernet card driver, ran Unknown Device Identifier and I was up and running in 10min. Your a saint! WOW the site you mentioned is really useful and easy to use. My computer sound card is not install.But I dont know Which sound card support in my computer. Please solve it and suggestion me. Thank you so much! This is the first time in years I have all my devices recognized. I´d recommend the third method (manually identifying). It solved all my problems. Thank you very much for this very useful info!!! 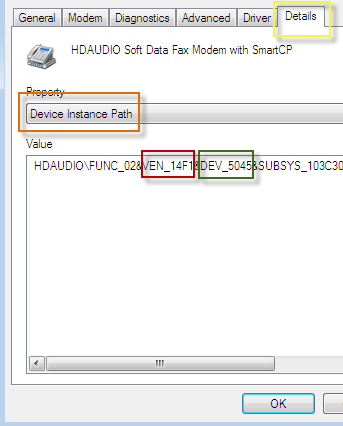 I used the software to identify a device for which the supplied drivers did not work. From there, I went to the manufacturer’s website and downloaded the appropriate driver. The device now works. Thanks!! !